Various utilities and Private companies need periodic calibration of energy meter and correct accounting of energy meters. Our teams, equipped with reference meter, can test meter at customer premises and hand over NABL calibration certificate on the spot. This reduces down time of the industry. We are Leading manufacturer and supplier ofGenus Energy Meter. Genus SakshamTM -320 is a Three Phase Four Wire LTCT operated, Time of use meter ideally suited for Distribution Metering. The Energy Meter is microcontroller based metering device with class of accuracy 0.5S and in-built GPRS/GSM Modem that simultaneously carries out real time calculation of parameters, manages memory, Display, RTC & Automatic/remote Communication with Head End Server. ShikharTM Multifunction Three Phase Electricity Meter Genus ShikharTM is a Three Phase four wire Class1.0 Whole Current/Direct connected Time of Use static Electricity Meter confirming to IEC-62053-21/23 and IS 13779.
with Integrated Communication Genus SakshamTM -320 is a Three Phase Four Wire LTCT operated, Time of use meter ideally suited for Distribution Metering. Metering Solutions With an installation base of over 20 million meters, Genus is a market leader in modern energy metering solutions. Genus offers a wide range of customisable products and services for utilities. 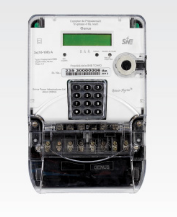 Genus ShikharTM is a Three Phase four wire Class1.0 Whole Current/Direct connected Time of Use static Electricity Meter confirming to IEC-62053-21/23 and IS 13779.